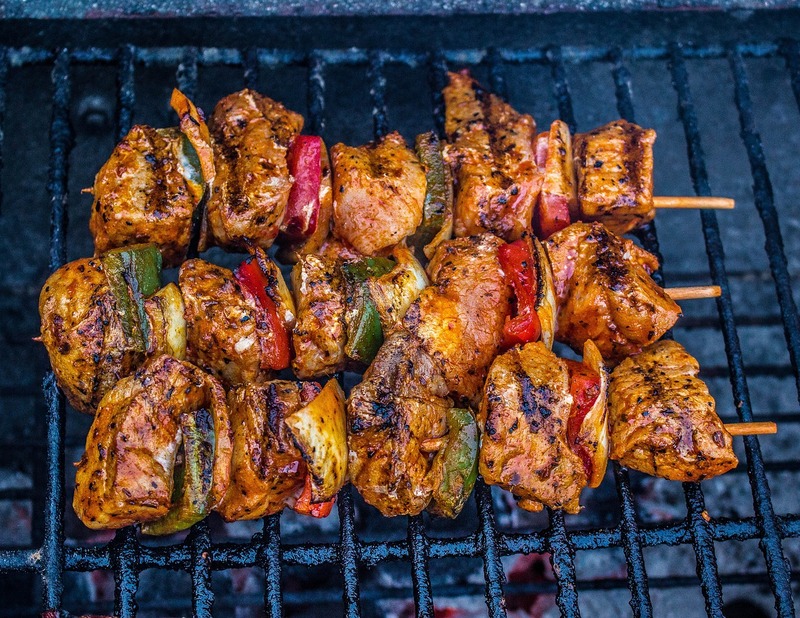 A great dish for any Barbecue Party for non- vegetarians. This mouth watering dish features succulent chicken and vegetables marinated in a traditional spicy pickle mix and grilled. In a bowl mix the hung curd along with the pickle gravy, onion seeds, ginger+garlic paste, red chili powder, coriander powder, dried fenugreek, turmeric powder, garam masala, 2 tbsp ghee/butter and salt. Mix well. Taste the marinade. Add the chicken cubes and chopped mixed vegetables and mix well to coat them with the marinade. Preheat oven to 200C(392F) , place the chicken achari sticks on oiled grilling grates. Brush with ghee/butter and rotate the sticks so that the chicken and vegetables get cooked evenly on all sides. Bake for 15 mins. Serve with mint and yogurt dip.